Dubai: His Highness Shaikh Mohammad Bin Rashid Al Maktoum, Vice-President and Prime Minister of the UAE and Ruler of Dubai, issued instructions to accelerate the pace of work and increase efficiency of services provided by government bodies. The move aims to make the UAE the world’s number one in providing services within two years to ensure happiness of clients. “I want our government agencies to provide the best services worldwide over the next two years … We are looking forward to a dynamic comprehensive government action to develop services inspired by our innovative experiences and creative ideas at the “Customer Happiness Factory”, Shaikh Mohammad said. The Vice-President made this statement as he inaugurated on Wednesday the factory — an initiative implemented by the UAE Programme for Outstanding Government Services. “I will personally follow up on the progress of development by all government entities. We want to double efforts and promote joint action and the team spirit driven by the UAE government, hoping that we will all celebrate defeating this challenge by achieving number one spot worldwide in providing government services,” Shaikh Mohammad said. He said ensuing happiness of clients is a top priority at all government organisations. “Governments exist to serve and empower people. The main job of any government is to make its people happy and fulfil their aspirations and hopes,” Shaikh Mohammad said. “The Customer Happiness Factory is a unique model and an Emirati innovation that embraces the team work to achieve sublime goals that support our vision, approaches and national objectives,” he added. 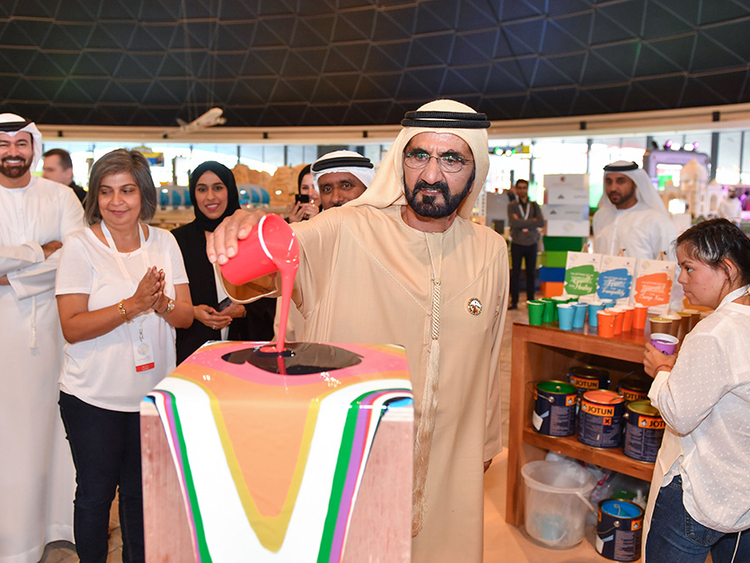 Shaikh Mohammad praised the idea behind establishing the factory, as well as its aims, and engagement of clients in designing the services that make them happy. On the sidelines of the inauguration of the factory, Shaikh Mohammad attended the signing of a cooperation agreement to train and empower UAE youth to develop private sector careers. The agreement comes within the National Programme to train Emirati youth and qualify them to enter the job market in the private sector.